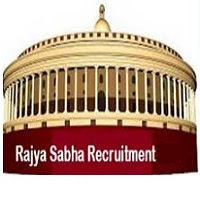 Rajya Sabha Secretariat Recruitment 2017 has announced on their official site. This recruitment has announced for 115 Parliamentary Interpreter (English/Hindi), Parliamentary Interpreter (Odia), Assistant Legislative/ Committee/ Protocol/Executive Officer, Stenographer (English), Security Assistant Gr. II, Secretariat Assistant (English), Secretariat Assistant (Hindi), Secretariat Assistant (Urdu), Translator Posts. Want to know more details? Here we have updated about Syllabus, Age Limit, Eligibility Criteria, Exam Fee, Application Processes, Rajya Sabha Secretariat Admit Card Date, Rajya Sabha Secretariat Exam Date, Rajya Sabha Secretariat Result Date and Rajya Sabha Secretariat Last Date Details. Check below details. Required Graduation details : Degree and master degree. Check more details on notification. Maximum age limit: 28 Years. The Upper age limit is relaxed by 5 years for SC/ST; 3 years for OBC, 10 Years for Persons with Disabilities (15 years for SC/ST PWD’s & 13 years for OBC PWD’s) and for Ex-S as per Govt. of India rules. Exam Center: Ahmedabad, Allahabad, Bengaluru, Bhopal, Bhubaneswar, Chandigarh, Chennai, Dehradun, Delhi, Durgapur, Faridabad, Ghaziabad, Gurgaon, Guwahati, Hyderabad, Jabalpur, Jaipur, Jammu, Kochi, Kolkata, Lucknow, Madurai, Mumbai, Nagpur, Noida/Greater Noida, Panaji, Patna, Puducherry, Raipur, Ranchi, Shimla, Srinagar, Surat, Thiruvananthapuram, Udaipur, Vijayawada and Vishakhapatnam.